As a new year approaches, I guess it’s customary to look back over the previous one and evaluate the good points and bad points and hopefully move forward for the better. 2016 is no different for Blackwater Conspiracy. We’re sitting looking on to 2017, another blank canvas, after what can only be described as the most roller-coaster year I think we’ve ever been through as a band. People often say that you never know what’s around the corner, well there’s truth in that…. (as we learned!) 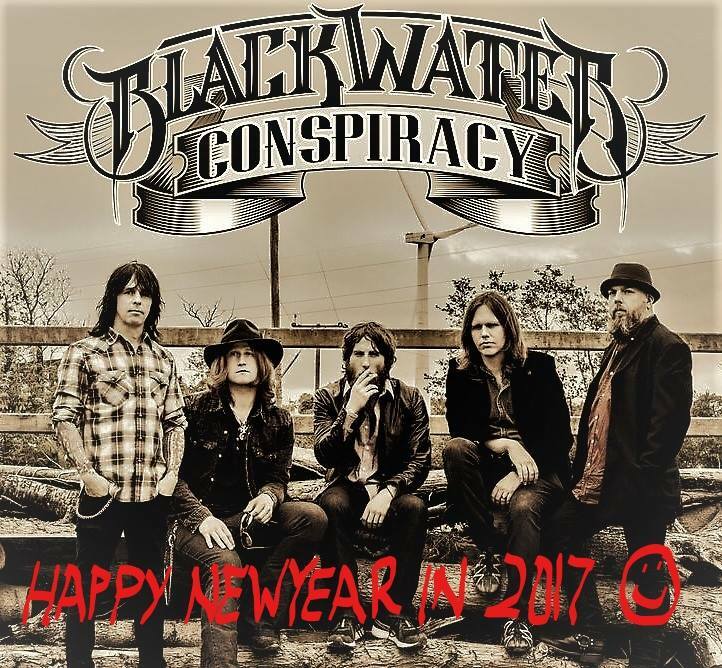 2016 was extremely kind to Blackwater Conspiracy. We’ve learned that life really can deliver you a curve ball, things can change at the drop of a hat and if an opportunity presents itself then grab onto it with both hands…….who knows what can happen in the future. There has been so much hard work going on behind the scenes this year, finishing up our debut album, moving forward with new management, exploring potential record deals etc, and 2017 will hopefully yield the result of all that hard work. We’d like to thank you all, all our friends old and new for all your continued support, it means the world. Everyone who works with us and helps us on our journey, you keep the wheels turning for us, thank you. I guess all there is to say now is roll on 2017! !